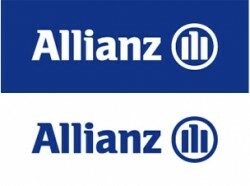 In the first quarter of 2012, Allianz Austria recorded a 24% slump in earnings. Pre-tax profits grew slightly. The Austrian subsidiary of the German insurance group could achieve a higher premium intake and and increase in earnings. The Austrian subsidiary of the German insurance group could enhance results in all its segments. Due to a decline in investment results, net profits were down significantly. According to a study by Allianz, Austria has the third rank among the EU countries. Austria´s expenditures for retires reached 12.7% of ist GDP. Only France and Italy surpass Austria. Sustainability of the domestic pension system improved slightly. Austrians currently spend an average of over 23 years in retirement; this is about twice as long as in 1970. Austria ranks second in Europe in this respect. The result of the German insurance group in Austria was able to increase despite premiums falling by 2.9% to € 53.7m. With good results for the first nine months, both in the investment and the core business, Allianz could increase the net operating result by 27.3%.